2016 To Be Bowcraft Amusement Park's Last? Continuing to expand the roster of amenities that help to transform their theme parks into destinations, two properties have new Legoland Castle Hotels planned for the near future. The concept art featured in this story is from Legoland Windsor, which has already announced the new resort and actually started construction on it. The hotel is firmly centered in the world of Wizards and Knights from epic Kingdoms, and visitors become kings, queens, princesses and princes when they stay at the property. The hotels will be fully themed from the outside in, but I think that's fairly evident in these concept drawings. 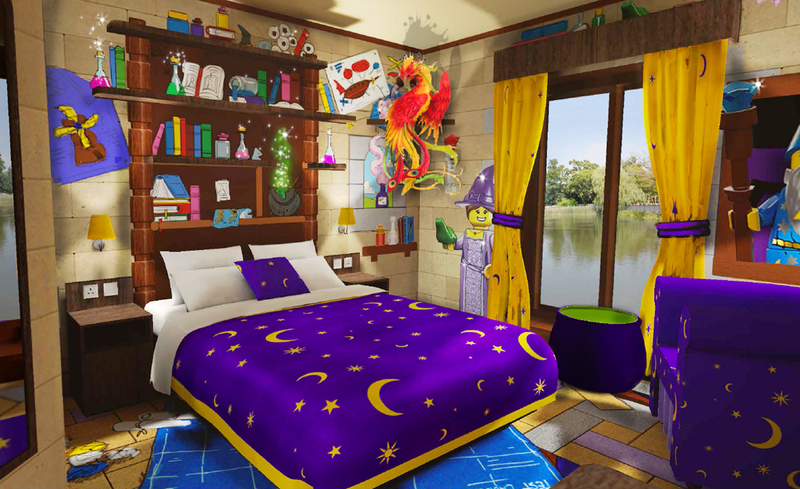 It will be the second hotel at both Legoland Windsor and Legoland California, though the addition is still in the planning and approval states for California. 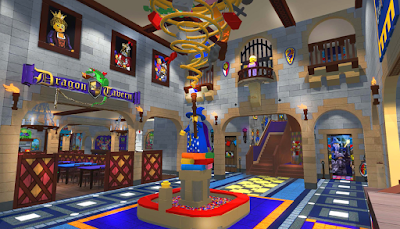 Features include 61 rooms at Windsor at 250 in California that are decked out in the style of Knights and Wizards, with additional themes being planned - especially at the larger California property. As with the already successful regular Legoland Hotels, these new developments will feature other amenities such as their own restaurant and play areas both inside and outside. At Legoland California, the addition will go up near the main entrance, similar to what was done with the first resort. 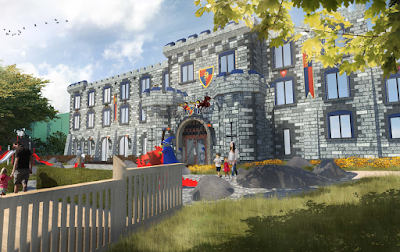 The Legoland Castle Hotel is planned to open in July of 2017 at Legoland Windsor, and if all approvals are gained construction may start at Legoland California in early 2017 with an opening date not yet announced.